I visited author Sylvia Hallam at her apartment in Nedlands near UWA and talked with her about human life as it was first lived in south-west Australia. Here is the podcast. I talk with Paul Gamblin from WWF about the recent plan to build a massive gas plant on Barrow Island, a bastion for threatened Australian wildlife off the coast of north-west Australia. Then in the second half of the show I discuss what it means for Australia to have a sustainable population with author Mark O’Conner. Here is Understorey’s first ever podcast. In this episode I had the good fortune to talk with UNSW professor and well known Australian author Michael Archer. I talked with Michael about the harvesting of kangaroos among other things. I begin the show by visiting the Darling Range Wildlife Shelter with volunteer Scott Jones to get up close with the kangaroos themselves. Here is this week’s podcast. John Pate is a retired professor of botany who lives on a many hectare property on Mt. Shadforth by Denmark on the south coast of WA. John took me on a walk along the steep trails he has created by hand over the years and discussed the karri forest that he loves so much with me and a friend. Here is this week’s podcast. Western Australia’s most well known landscape photographer Richard Woldendorp took the time to come into the studio and talk with me about his life photographing WA. Here is the podcast. Western Australia as Home for White Settlers. As well as a look at the current health of the Swan River. Jane Davis is the author of a PhD thesis on the feelings of belonging among early white settlers to WA, and talked with me about the first impressions these people had of WA. Piers Vestagen head of the Conservation Council then updates us on the polluted Swan River. Here is this week’s podcast. 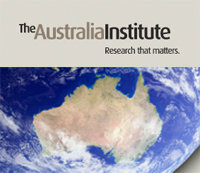 Penelope Swales Environmental Lyrics, and Mark O’Connor on the Australian Population Problem. This week Penelope Swales’s song Black Carrie about a German environmental activist. Then we hear from author Mark O’Connor about the population problem in Australia. 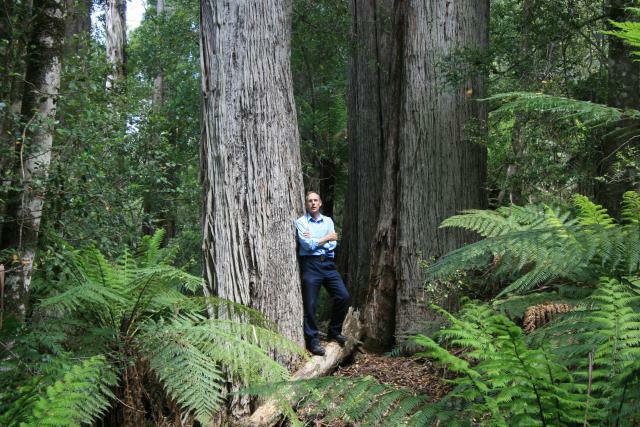 Chopping down jarrah forest near Bridgetown, and a visit to an eco-village, the Wolery. This week we hear from Russel Catamore about the logging of the Warrup block of forest by the state government near Bridgetown. Also a visit to WAs oldest and most established ec0-village, the Wolery, near Denmark on the south coast of WA. Here is this week’s Understory. Rainbow lorikeets taking over our city and the future of water use in Perth. Peter Mawson talks about the takeover of Perth by the invasive rainbow lorikeet. Also Sue Murphy gives the inaugural George Seddon lecture on the future of water use in Perth. Eating kangaroo and paying your water bill in Perth, Western Australia. Peter Mawson, zoologist from the Department of Environment and Conservation comes into the studio to explain how the harvesting of kangaroos works in WA, and Sue Murphy CEO of the Water Corporation speaks on why water in Perth is getting more expensive. Here is this week’s podcast. Climate change protest from the Fremantle Esplanade: Walk Against Warming 2010. This week I take a trip into the fray of Australia’s national day of protest about climate change governmental inaction. Here is this week’s podcast. This week I get a peek at the very little and very beautiful Sunset Frog, a frog that lives in peat bogs in south-west Australia and may be one of the planet’s first casualties of global climate warming. Here is this week’s podcast. This week I wander around the breeding ponds of the Perth Zoo, a last bastion of the Western Swamp Tortoise. Also I chat with Glenice Batchelor, a winner of a Landcare award in the WA wheatbelt. Here is this week’s podcast. The first half of the show is an interview with Stanley and Keiser Breedan, the authors of the gorgeous large-format book Wildflower Country published in 2010 by UWA Press. 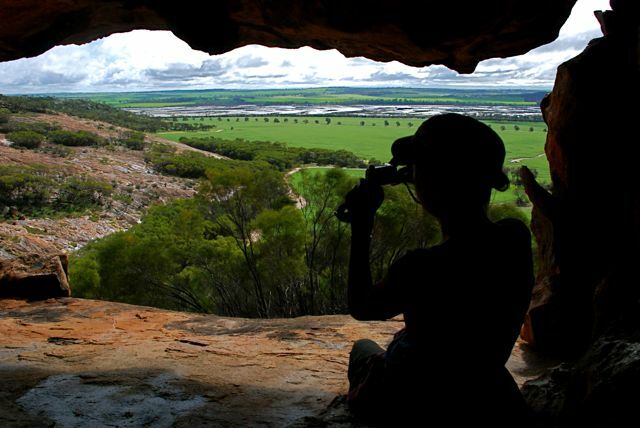 The second half of the show is an interview with Don MacFarlane from CSIRO which sums up recent research on the drying of the climate in south-west Autralia. An update on the Roe Highway plan to destroy bush land and the sorry health of dolphins in the Swan River. An update from WA Greens Member of the Legislative Council Lyn McClaren on what the WA state government is now planning on doing to the native vegetation of North Lake (destroying it by building more roads). This episode also includes a look with historian and Swan river advocate Sue Graham Taylor at the six dolphins deaths in 2009 in the Swan river. This show takes place onboard the Sea Shepherd ship the Steve Irwin when that ship was docked in Fremantle in late 2010. The second half of the show is a conversation with the inspirational Tasmanian artist and wilderness sage Peter Adams. A live recording from Freo Tweed Run, a celebration of gentlemanly style and the two wheeled steed. As well as a retrospective look at the 2009 Montaro oil spill which took place off the north-west coast of Australia. Here is this week’s podcast. Legendary Australian environmental philosopher John Seed discusses and reads from the work of his favourite poet Robinson Jeffers. Danny Cummings reads from Henry David Thoreau. Here is this week’s podcast. Saving grass trees, and the live export of cattle from Fremantle. Bruce Abbott of Replants, a business in Fremantle, talks about his work transplanting grass trees from bush to be destroyed around Perth. Greens MLC Lyn McClaren talks about the latest evidence condemning the export of live cattle to Indonesia from Fremantle. Here is this week’s podcast. I visit the WA Museum, a big green shed in Welshpool, a suburb of Perth, and talk to ecologist Ric How about the native animals of Perth and how they have fared over the years. Here is this week’s podcast. I talk with Tim Flannery about his fantastic new book Here On Earth. He was here for the Perth Writer’s Festival and I got to have a chat with him in the RTR studio. Here is the podcast. This week I managed to get one of Australia’s most critically acclaimed poets, John Kinsella, to record his poem ‘Perth Poem’ for the show. As you follow his branches through the urban corners and natural facets of this Western city you’ll be surprised. Here is the podcast. President of the Australian Conservation Foundation Ian Lowe comes into the RTR studios to talk with me about the Australian federal government’s series of failures to deal with the threat of climate change. Here is this week’s podcast. Tibet has maintained a deeply conservative cultural tradition and religion for many hundreds of years behind a curtain of high mountains. If you were at the Burswood Dome last weekend to see the Dalai Lama you would have seen the red robes and yellow hats of the Gyuto monks, costumes that have not changed for centuries. The monks are in town this week, and I caught up with them. Gen Lama Thupten Phuntsok is the man I first talked with, through a translator of course. The head lama comes direct from Dharamsala, India with his group of Gyuto Monks to begin the year long Infinite Present Tour of Australia. Later in the excerpt I talk with Maureen Falon, and I think she really gets to the heart of why you should come and spend some time with the monks at Kulcha this week. Listen up. 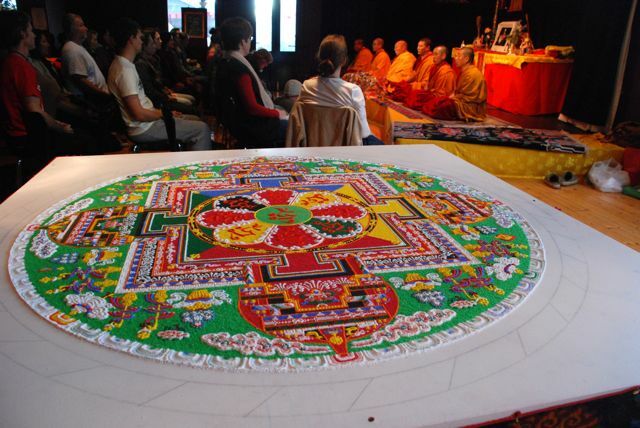 As the Gen Lama takes his seat on the stage my eye drifted to a healing bowl. 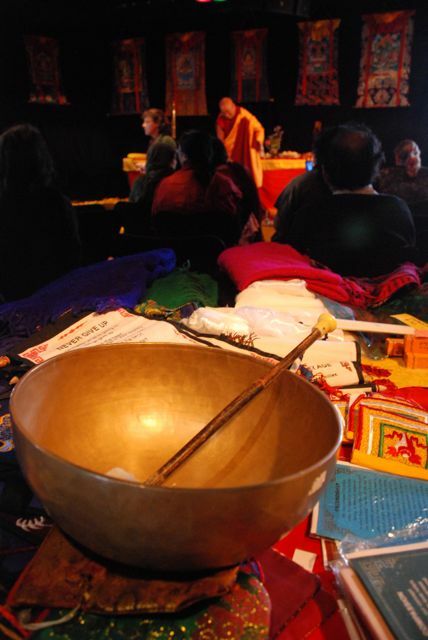 This is the bowl you can hear singing at the start and end of the interview I did with the lama. I recently attended a forum on the end of logging in Western Australia at Notre Dame in Fremantle. The MC for the event was none other than English comedian Ben Elton. On this week’s Understorey we hear from Ben Elton, as well as other speakers at the forum. In the second half of the show I talk with Danielle Witham at WWF Perth about a new conservation plan for south-west Australia. Here is this week’s Understorey. Nature Deficit Disorder or a Biophilic City? Griffin Longley from Nature Play talks with me about his efforts to remedy nature deficit disorder in Perth. Tim Beatly from the University of Virginia’s architecture school chats with me about biophilic cities, and how Fremantle might become more of one. Here is this week’s Understorey. 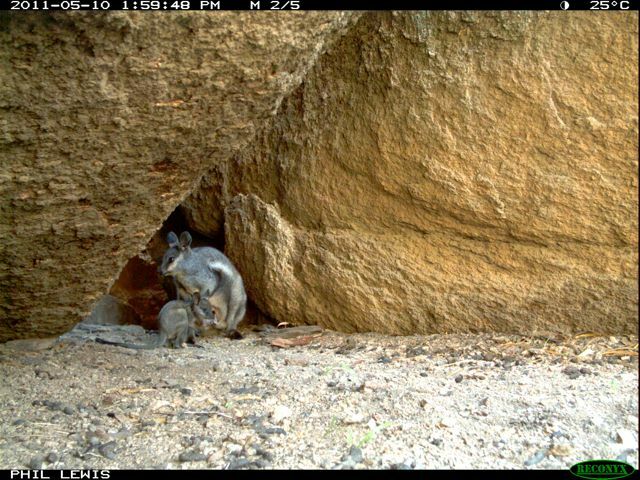 Rock Wallabies on the Way Out? The View From the Stone Citadel. Recently I found myself sitting at the back of a sparse stone chamber and looking through a granite arch out over woodland, boulders and fields, all wet and green. This was the prospect from my refuge. I hadn’t expected to find myself sitting high up in a remote and little visited stone cavern looking over a green landscape when I had gotten out of bed much earlier that morning. Things were going well. I was looking for evidence of the black-flanked rock wallaby with Katherine Howard from WWF, the conservation organization. To get to the cave I and Kath had climbed over a slippery ledge, where green fronds clung in crevices, traversing above a steeply sloping 30 metre drop to the rocks below. There was a serious purpose to our journey to Mt. Stirling in WAs central Wheatbelt, but man, this is fun, was what I was thinking. There was the risk of the fall, and the act of approaching the dark yawn of a remote cave entrance, inside of which lay we knew not what. My hands clung to the stone, I moved forward slowly, my breeze brushed my neck, I felt unquestionably alive. 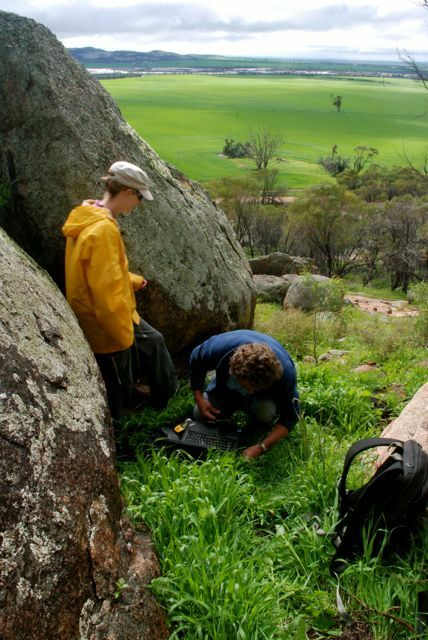 I was out of the urban bubble, on a massive granite monolith with three WWF conservation professionals, monitoring the presence of Black Flanked Rock Wallabies. These diminutive macropods used to be commonly found on the Darling Scarp behind Perth. With the arrival of the fox at the end of the 1920s the end of their abundance began. Today they persist in the north-west of Australia, but in the south-west they have been reduced to six granite outcrops in the wheatbelt. Most city folk don’t even know what a black flanked rock wallaby looks like. So did we find any of these animals at Mt. Stirling? Or at least pictures thereof? Listen to this week’s Understorey and find out. Really Tom, why should anybody give a damn about rock wallabies in the WA wheatbelt, I can hear some people asking? As I walked around Mt. Stirling that day I realized that these animals are mute sentinelsl looking down on a changing Australia. They are the ancient soft brown faces of this country looking down from a stone citadel on disruptive modernity. You may have never seen their white-stripped faces, but their perspective is an important one. It is the secret soul of this country, the old, the original Australia. This week on Understorey its a reggae special. 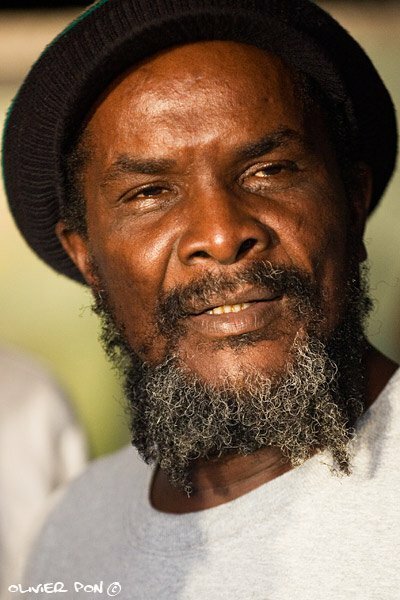 I talk with roots reggae legend Pablo Moses – pictured above – about his music and the place of nature in the Rastafarian faith. Later I interview Ian Scobie, director of Earth Station, a boutique environment and music festival taking place in a National Park in South Australia in October. On the line-up for the festival is Melbourne-based reggae outfit Mista Savona, which of course gave me an excuse to interview the man behind Australia’s biggest reggae act, Jake Savona. Here is this week’s show. 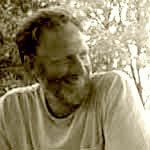 This week’s Understorey starts with a discussion with David Conover, a film maker in America (pictured above). Conover is the mastermind behind the contemplative and visually stunning series Sunrise Earth, and he is currently producing a film called Behold the Earth, and exploration of science and religion as different avenues for embracing nature in American culture. Today you’ll hear excerpts from the film, including the voice of the great writer and thinker Edward O. Wilson. The second half of the show is an interview with Martin Palmer of the Alliance of Religions and Conservation. Listen to this week’s show here. This week the show comes from Vietnam. I make a botched attempt of singing a line from Noel Coward, and then explore Ba Be National Park in northern Vietnam. Ba Be is an area of deep green rainforest and high limestone peaks. I talk with the director of the park and some of the villagers in the area. In the second half of the show I talk with Chris Shepherd of TRAFFIC about the illegal wildlife trade in Vietnam. Here is this week’s Understorey. This week we hear from Executive Director of The Australia Institute Richard Denniss about the real story of the mining industry in Australia. With the high cost of living in Perth in mind, partly caused by the mining boom, more people are turning to shared living to be able to afford a house to live in. David Holgrem comes onto the show to discuss the benefits of large households. Here is this week’s Understorey. With that in mind, Alissa Bilfield co-founder and director of the Cookbook Project is on the line from Boston in the US to kick off the show and tell us about her new slow food initiative. Later we will hear from Tim Marshall, author of the just published bible on organic gardening in Australia: The New Organic Gardener. Here is the show this week (remember you can also podcast the show off this site by following the ‘podcast’ link on the right). Over Christmas I took the opportunity to look back over some of the talk from 2011. Here I bring you the words of the ‘moral leaders of the nation’. The first comes from the American nation. The second comes from the Australian nation. The first comes from American author Bill McKibben, and the second comes from Australian senator Bob Brown. The first speech comes from Washington DC., from Powershift, a coming together of youth climate activists in Washington early in 2011. You’ll hear Al Gore after McKibben has spoken. In the second half of the show we return to Australian politics. In May of last year Bob met the press and turned the tables on some of the journalists in the Canberra media scrum. Along with the recording of Bill McKibben and Al Gore, this bit of audio rated for me as one of the most interesting as I looked back on 2011. Here is this week’s show.